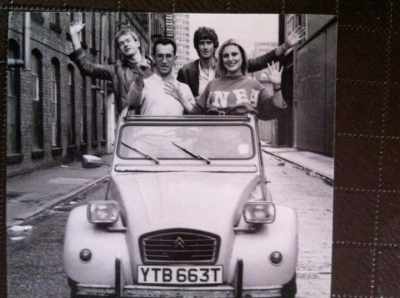 PR photo summer 1984 somewhere in Stockport in Lynne's 2CV. L to R Jim, Paul, me, Lynno. I think this was on Water Street at the bottom of Lancashire Hill.